1st July will see the 100th anniversary of one of the most cataclysmic events in our history. To this day it is still seared into the nation's psyche. 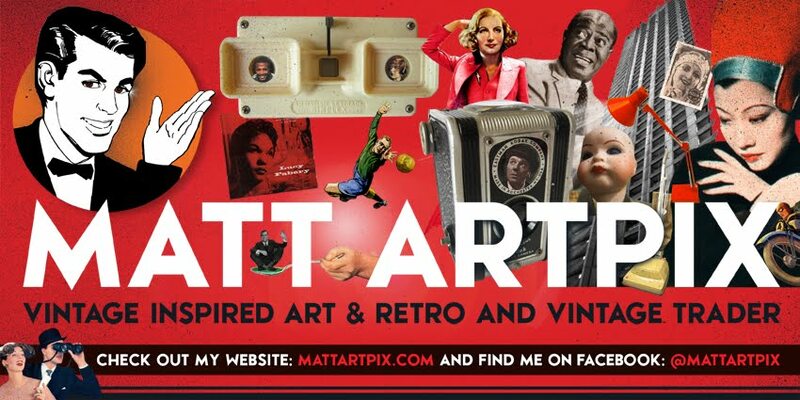 The people who were there are now all gone, we only have the photographs, the words and the films, but its resonance and legacy never stops. We can trace many seismic changes in our society back to this day. The battle was an attempt to break the stranglehold of trench warfare and give much needed relief for the French at Verdun. This was to be the baptism of fire for the enthusiastic volunteers of 1914, the Kitchener's Army. A massive bombardment of the German front lines that was supposed to destroy the thick belts of barbed wire and their trenches mostly failed, leaving the soldiers exposed to terrible machine gun fire once they left their trenches. The rigidness of the plans and timetables laid out, left no room for manoevre and common sense. More and more waves of soldiers were sent forward, despite the obvious situation unfolding before them. A senseless waste of life. Modern day historians are reassessing what happens, but are now of the opinion that all was not so bad, seemingly just to oppose the common 'Lions led by donkeys' view. It's true, lessons were learnt and the eventual victory in 1918 perhaps came from them, but is it really worth acknowledging the new and easier ways to kill more people that were discovered?? And why was the battle not stopped earlier, when it was so obvious it was an impossible situation. They were fighting a Victorian war, they still wanted to use cavalry! To me one word sums up the arrogance of the High Command and the fact they DIDN'T learn enough from it....... PASSCHENDAELE. The unerring obedience of the Edwardian people to their betters died on 1st July 1916, Britain would never be the same again. Years ago a friend of mine saw an old chap with a stick limping along a street in Fulham. He asked if he was ok and the man simply patted the side of his leg and said, "Somme". 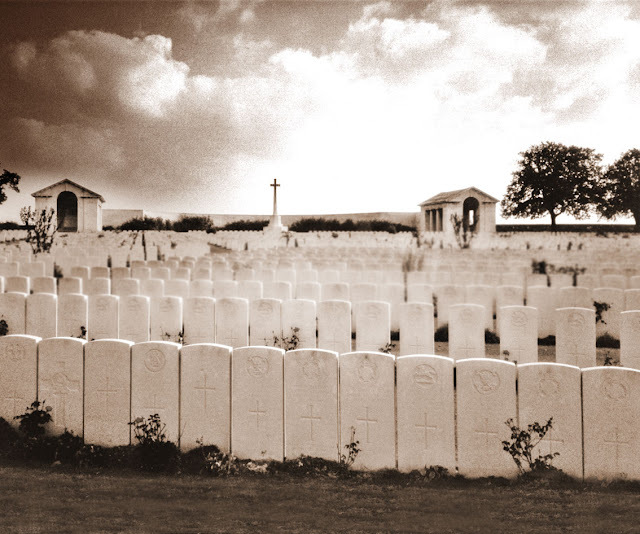 Serre Road Cemetery No.1, on the Somme. Notice how close together the gravestones in the front row are. Shows you the sheer number of graves needed. In the 1990s I twice went to the Somme with my Dad, visiting every one of the significant sites and some of the hidden away ones too. We travelled around the beautiful rolling countryside and barely saw anyone all day. The only clues to what had happened there were the regular cemeteries that dot the landscape. You could easily be completely unaware as to the traumatic events that had taken place. 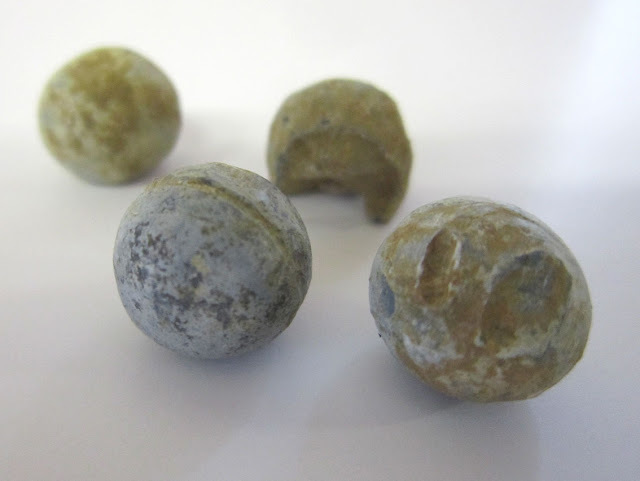 Shrapnel balls, found on Redan Ridge. 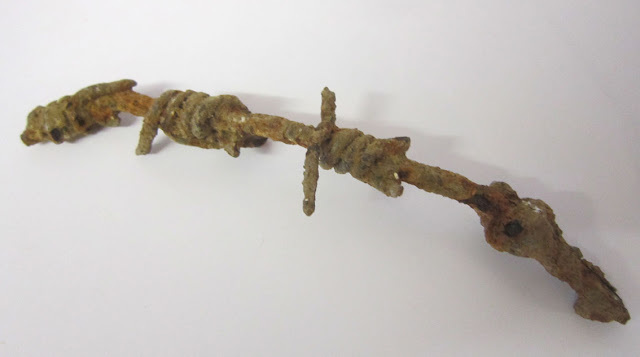 A piece of the infamous Somme barbed wire, picked up near the Lochnager Crater. 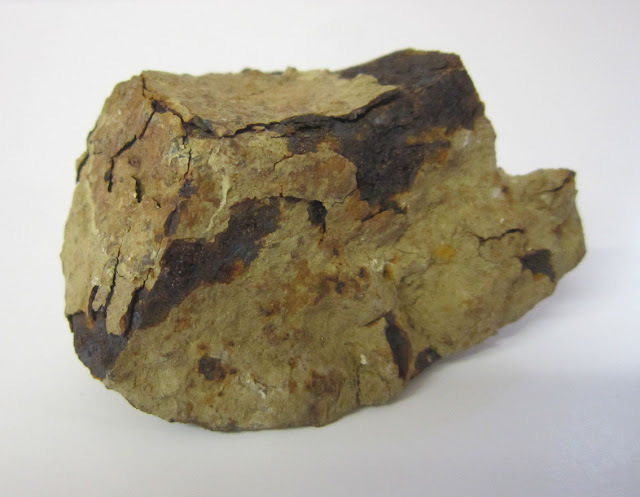 A lump of a high explosive shell, note how thick it is. Found at Hawthorn Ridge. 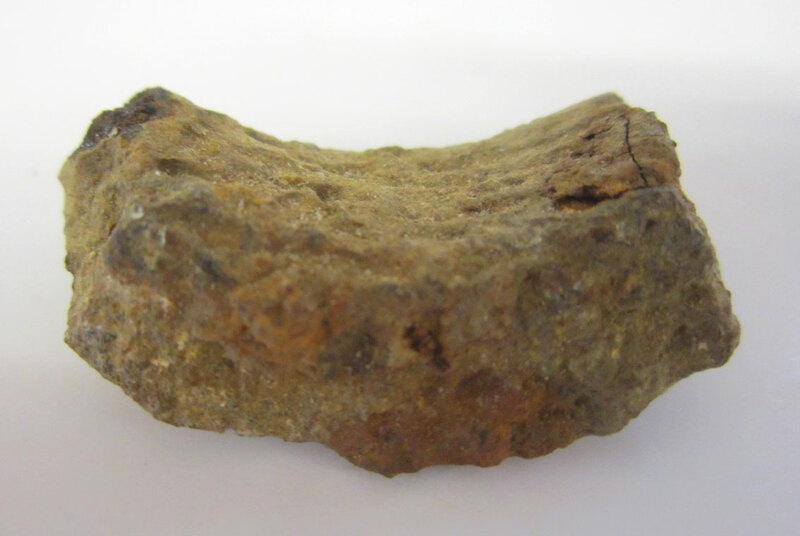 A long curved piece of a shell found on the German front line at the Schwaben Redoubt, near Thiepval. 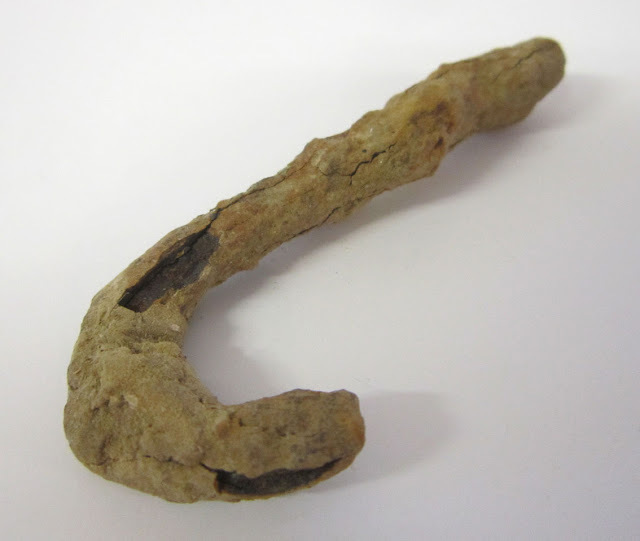 A curious hook shaped piece of metal found near Thistle Dump, site of the senseless cavalry charge on High Wood in 1916. You can still see the thread on this curved piece of shell. I found it at the place where Geoffrey Malins filmed his famous shot of the mine exploding at Hawthorn Ridge, to signal the start of the battle. It remains the most iconic piece of actual war footage of the First World War.